The books exhibit material that are in compliance with CBSE examination paper design. All the chapters of each book is divided into 2 sections: Part-A and Part-B. 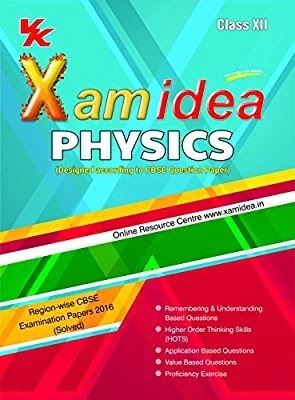 Part-A includes the Basic concepts, important NCERT textbook and NCERT Exemplar (Physics, Chemistry, Mathematics and Biology) questions. Not only this, all the questions have been further divided (according to the marks) into various sections of Very Short Answer, Short Answer and Long Answer Questions. Every chapter includes diversified questions based on 'Remembering and understanding','Higher Order Thinking Skills'(HOTS) and 'Application', 'values' (All with answers).To grease the wheels to attempt indirect and difficulty -level questions in the Board exam by the students, 'Proficiency exercise' has been given in Maths, Physics, Chemistry and Biology. 'Case study' in Business Studies and Psychology are vital part of the books. Part-B includes latest CBSE Sample Papers,CBSE Examination Papers of 2017 (Delhi, All India and Foreign) with complete solutions. Unsolved Model Question Papers have been inserted for ample practice of the examinations. In particular, 20 Unsolved Model Question Papers for Maths have been given. Part-C has been incorporated in few subjects, which highlights ‘Project Work’.